There's never a shortage of things to do in Rochester, but summer is meant for rest and relaxation, not spending your time researching upcoming events. To help out, CITY put together a guide to the festivals going on between now and September. Whether you're in the mood for live music, handcrafted art, or just want to get outside and walk around for the day, every month is packed full. 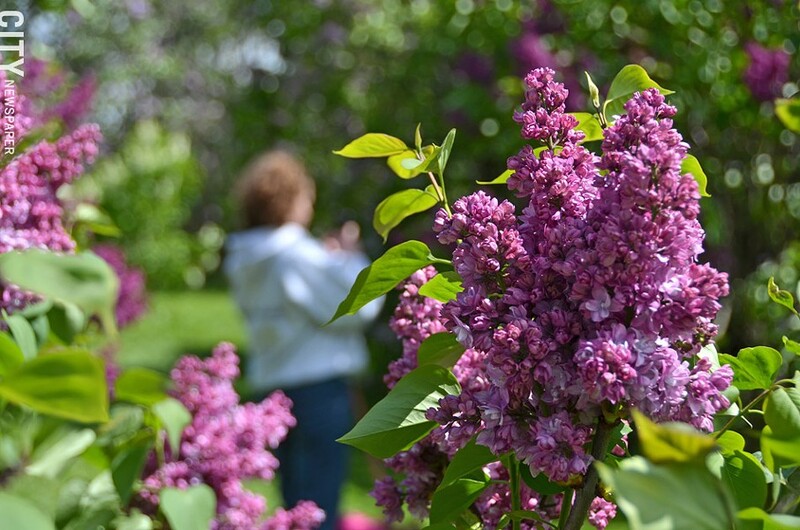 For 116 years, the Lilac Festival has reminded us just how special Rochester is. This year’s festival takes place Friday, May 9, through Sunday, May 18, 10:30 a.m. to 8:30 p.m. at Highland Park. Start off by witnessing — or being a part of — history being made as Rochester attempts to break the Guinness World Record of the largest human flower. The assembly will take place on Friday, May 9, at 11 a.m. Registration can be done online or at 10:30 a.m. the morning of. Come back out on Saturday, May 10, at 10:30 a.m. for the Lilac Parade, presented (and televised) by Time Warner Cable News. The parade will feature over 2,500 participants, 20 marching bands, and 125 organizations. Tuesday, May 13, through Thursday, May 15, a Wine and Chocolate Tasting session will take place under the Big Top Tent. The tasting will include 30 winemakers, handcrafted chocolate, and gourmet food and cheeses. Two sessions will be offered daily, from 1 to 4 p.m. and 5 p.m. to 8 p.m. Admission is $15. Both weekends, May 9-10 & 17-18, shop unique, handcrafted creations by more than 120 artists and vendors at the juried Art and Craft Show — Saturdays from 10:30 a.m. to 6 p.m. and Sundays from 10:30 a.m. to 5 p.m. End the festival week with the Highland Hospital Lilac Run on Sunday, May 18. A 5K will be held at 8 a.m. and a 10K at 9 a.m. The run will begin at 249 Highland Avenue, near the Cornell Cooperative Extension Building. There will also be a children’s entertainment stage and family fun zone, including magicians, aerialists, mini rides, giant slides, and more taking place each day of the festival. The festival’s live entertainment schedule includes Duke Jupiter, The Skycoasters, Rubblebucket, Classic Albums Live playing Pink Floyd’s “Dark Side of the Moon,” Keller Williams and The Infamous Stringdusters, Rusted Root, The Original Wailers, and Eddie Money. All concerts are free and a complete lineup and schedule of entertainment can be found online. All events are free unless otherwise noted. For more information, visit Rochesterevents.com/festivals-events/lilac-festival. 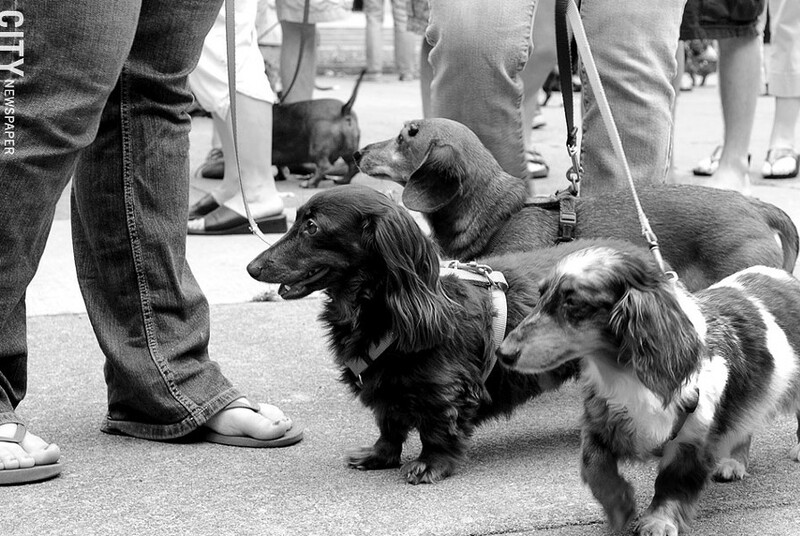 Watch wiener dogs on parade as you and your pooch mingle with other dogs and their owners at the 13th annual Dachshund Parade. There will also be dog health information available from Veterinary Specialists of Rochester, Animal Emergency Service, and TheraVet Acres. Dog-lovers can catch a variety of handcrafted dachshund-themed items being sold by various vendors as well. Embroidered parade T-shirts in different colors ($18 each) and embroidered parade towels ($15 each) will be on sale. Payment is asked to be cash only and part of all the proceeds benefit Rochester Hope for Pets and the Verona Street Animal Society. The Parade takes place on Saturday, May 10, from 10 a.m. to 12 p.m., at Washington Square Park, located at 181 Clinton Avenue South. Admission is $1 for each dachshund (other breeds of dogs are asked not to be brought) and parade donations are accepted. For more information, visit Dachshundparade.com. 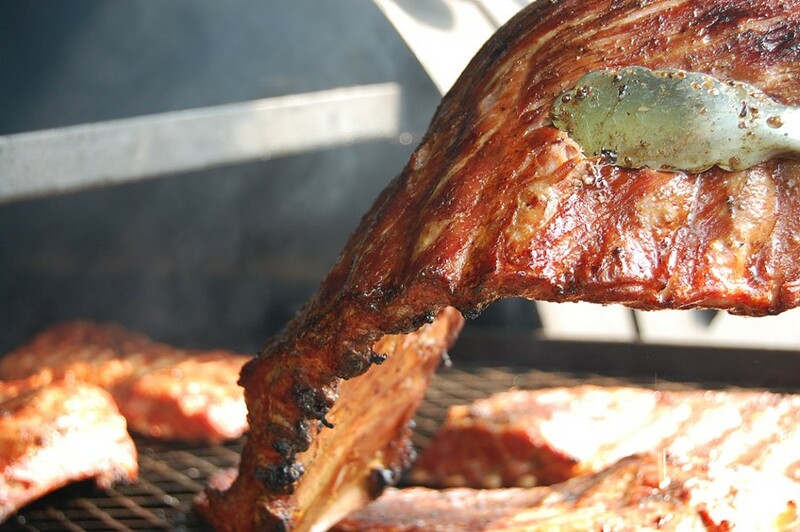 Get your taste buds ready for a five day event of mouthwatering BBQ. The Roc City Ribfest is a family-friendly event featuring competitive cooking for ribs, chicken wings, hot dogs, burgers, and more. Competitions include the Roc City Rib Cook Off, World Bacon Championship, Kids Q, and the People's Choice Ribs, where you can vote for your favorite vendor of the festival. And make sure not to leave the kids at home; a bounce house, arts and crafts, and more await them. Roc City Ribfest takes place Thursday, May 22, through Monday, May 26, at its new location, the Genesee Valley Park (952 E. River Road). The festival officially opens to the public Friday evening at 5 p.m. and continues Saturday to Monday from 11 a.m. to 9 p.m. The entrance fee is $5 and free for those under 12. The cost includes parking, admission, music and kids' activities. The festival will donate $1 from each person to the Golisano Children's Hospital. For more information, visit Roccityribfest.com or call 1-888-ROC-BBQ8. 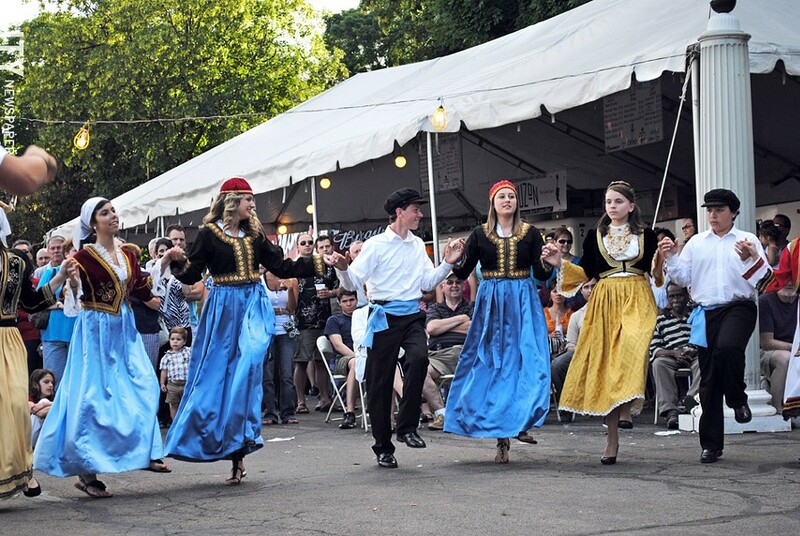 Celebrate tradition at Rochester's annual Greek Festival. This event brings the aromas, sounds, and traditions of Greece to the area with dancing, food, church tours, and shopping in a Greek marketplace. You won't want to miss out on yummy treats including Loukoumades, Saganaki, homemade Spanakopita, and Baklava. Also, make sure to hit up the Agora for unique clothing, jewelry, books, and icons. Church tours will explain the interior iconography of the Annunciation Greek Orthodox Church and the Orthodox faith. Children can also enjoy their own mini festival, with activities including a climbing wall. The Festival takes place on Thursday, May 29, through Sunday, June 1, from 11 a.m. to 11 p.m., and will be located on the grounds of the Annunciation Greek Orthodox Church, at 962 East Ave. Admission to the festival is free. For more information, visit Rochestergreekfestival.org or call 244-3377. Attracting over 200,000 attendees each year, this Fairport volunteer-run festival includes live music, arts and crafts vendors, family activities, food, and more. Bring the whole family for a chicken BBQ on Friday night, starting at 4:30 p.m., Saturday and Sunday shop and stroll through over 200 artisans and various food and craft vendors, and Canal Nights (located at Fairport Junction) keeps the Saturday night party going with popular regional bands, food, beer, and wine. Be sure to buy a duck for the Duck Race ($5 for one duck, or $20 for five ducks), benefitting the Fairport Perinton Merchants Association's initiatives for beautification and public art in the community. The festival runs Friday, June 6 through Sunday, June 8, in the village of Fairport. Events begin Friday night from 4:30 to 9 p.m., and will continue Saturday from 10 a.m. to 6 p.m. and Sunday from 10 a.m. to 5 p.m. For more information, visit Fairportcanaldays.com or email Info@fairportcanaldays.com. 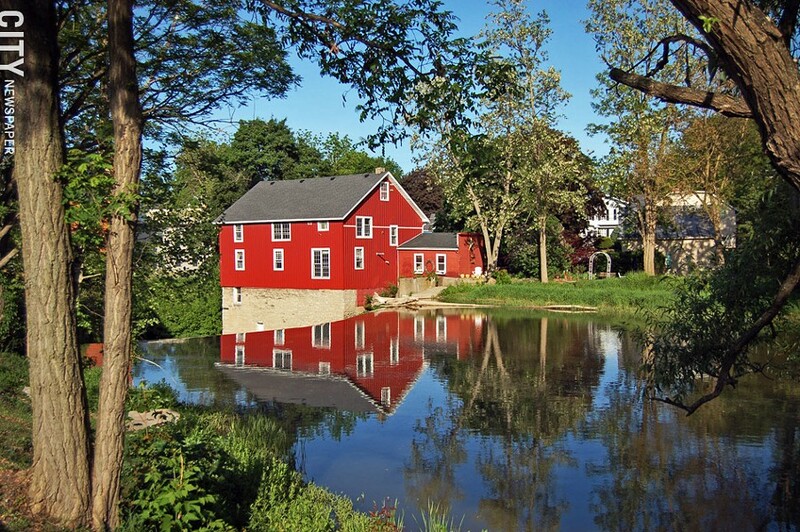 Clifton Springs' Sulphur Springs Festival takes place the first weekend of July every year to celebrate the beautiful, historic village and its community. Start off Friday with various food vendors and stick around for live music and a wine crawl around the village. Saturday features craft and food vendors, historic demonstrations, a music festival — featuring Allen Hopkins & Jim Clark, Bristol Mountain Bluegrass, Celtic Ceilidh Band, and Dady Brothers — a Duck Derby, a car show, a parade, and a post-parade concert. The festival also includes activities specifically for kids including crafts and games, a bounce house, a pie eating contest, cartoon characters, clowns, and a dunk booth. The festival is Friday, June 6, 4 to 8 p.m., and Saturday, June 7, 9 a.m. to 8 p.m., with the parade beginning at 6 p.m. Events will take place throughout Clifton Springs. Admission to the festival is free. For more information and a complete schedule of events, visit Sulphurspringsfestival.com. Held the first Saturday in June, the 19th Ward Square Fair celebrates the cultural diversity of that neighborhood. The festival is the 19th Ward Community Association's largest fundraising event. Start the day with a pancake breakfast in the scenery of Rochester's largest residential neighborhood. The day-long fair will include a variety of food vendors from local restaurants, live entertainment, lunch grills, and booths selling books, plants, food, and more. And make sure you don't miss the parade through the area starting at 12:30 p.m. Rain or shine, you won't want to miss this community-focused event. The fair will be held on Saturday, June 7, at Aberdeen Square Park (330 Post Ave). Admission to the fair is free. For more information, visit 19wca.org or call 328-6571. Local music will take over the East End on Friday, June 13, as the East End Music Festival swings in. Four stages will be spread across the neighborhood, prompting attendees to explore the East End. Twelve local bands are scheduled: Extended Family, Northside Johnny, and Cherry Bomb on the Channel 10 stage; Kung Fu Grip (Sublime Tribute), Cry to the Blind, and Rockwith Springer on the Parking lot stage; Haewa, Subsoil, and RootsCollider on the World Beat Stage; and The Prickers, Teagan and the Tweeds, and Big Eyed Phish (Dave Matthews Tribute) on the Gibbs Street stage. A food truck rodeo will also be held from 5 p.m. to 11 p.m. The East End Music Festival will be Friday, June 13, along Rochester’s East End. Food truck rodeo starts at 5 p.m. and music starts at 6 p.m. For more information, including a map of the festival area, visit Eastendmusicfestival.com. The village of Honeoye Falls' Festival on the Green strives to celebrate the area's local music and art with food vendors, arts and crafts, live music, and family-friendly activities. Festival on the Green takes place Friday, June 13, through Sunday, June 15. Friday night kicks off the event at 6 p.m. with a 5K run through the village, beginning at Monroe Street Park (Fireman's Field, 321 Monroe Street). Registration is $20 ahead of time (pre-registration ends on Monday, June 9) and $25 the day of the event. Proceeds benefit the Honeoye Falls FISH Food Cupboard. The registration form can be found on the official festival website. On Saturday and Sunday the festival continues at Harry Allen Park (21 N. Main St) with vendors, music, food, and more. The festival is free to attend. For more information and a complete schedule of events and times, visit Festivalonthegreen.us. Few things bring the nostalgia of summer nights quite like a tall glass of beer. 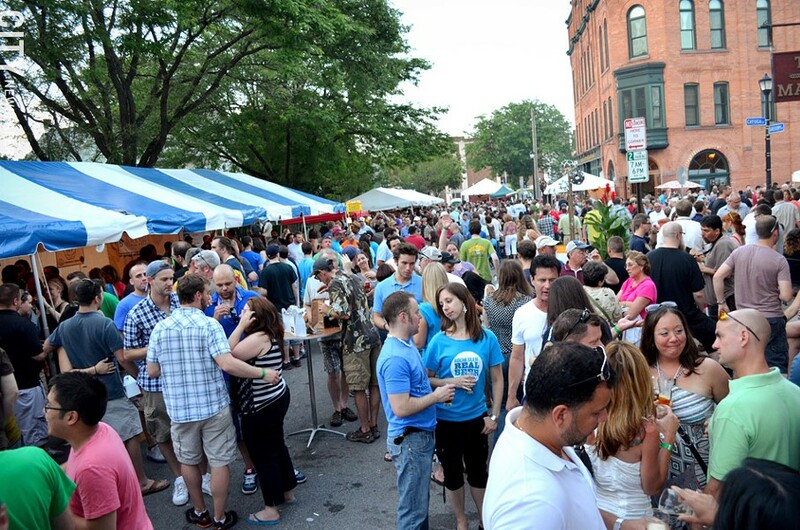 Celebrate 10 days of summer nights and craft beer at the Rochester City Beer Week. The festival kicks off on Friday, June 13, and continues through the week at various stops across the city with a packed list of events like beer launches, happy hours, tastings, pig roasts, a clam bake, concerts, trivia contests, Father's Day specials, a burlesque show, and more. On Saturday, June 14, the Beer Week will hold its fourth annual Rochester Real Beer Expo from 6-10 p.m. (VIP hour starts at 5 p.m.). The Expo will take place on Gregory Street from Whalin to Bond Streets. Cider, locally made cheese, Cajun BBQ, pizza, German and Italian sausage, hand rolled cigars, and more will be served up. Tickets for the expo are $45 for general admission, $65 for VIP, and $10 for the designated driver. For more information and a complete list of events for each day, visit Rochesterrealbeer.com. The Rochester Real Beer Expo in the South Wedge, as part of Rochester Real Beer Week. 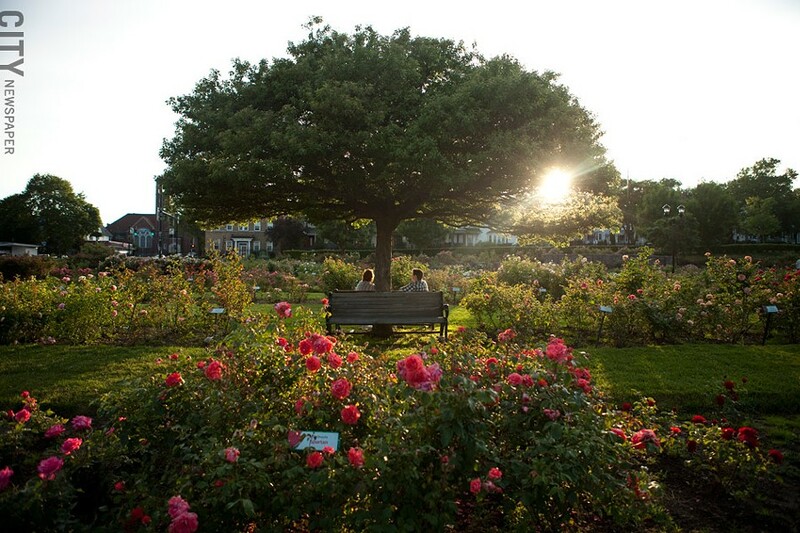 Celebrate the blooming roses at Maplewood Park at the 24th annual Maplewood Rose Festival on Father's Day weekend. The Rose Garden is home to more than 3,000 rose bushes, including the classic "Malmaison" and more recent hybrid "Princess Diana." 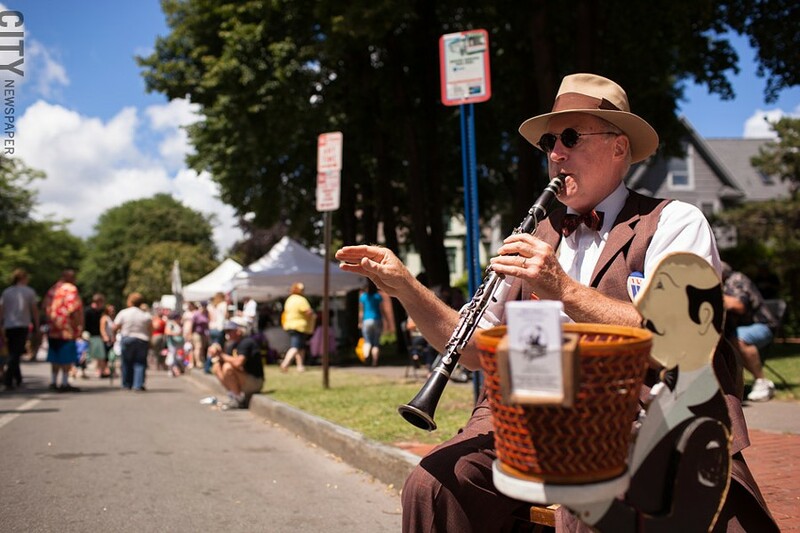 Revel in the beauty of the park as you enjoy an array of activities including a parade, live music, gorge and garden tours, tours of the local historic homes, children's activities, and arts & crafts. The festival will be held Saturday, June 14, and Sunday, June 15, at the Maplewood Park and Rose Garden (on the corner of Lake and Driving Park Avenues). Admission is free. Handicap parking is available in Maplewood Parking Lot, but all other parking is available on surrounding area streets. A shuttle is provided at the corner of St. Paul Blvd. and Avenue E, directly across the Driving Park Bridge from Maplewood. For more information, visit Cityofrochester.gov/maplewoodrosefest or call 428-6866. Steve Martin at the 2012 Xerox Rochester International Jazz Festival. Since it premiered in 2002, the Xerox Rochester International Jazz Festival has grown to become one of the area's most prestigious and popular music festivals. Known for its unique variation of artists, from legendary performers to popular favorites, the festival has hosted such icons as Aretha Franklin, Peter Frampton, David Byrne, and Elvis Costello. 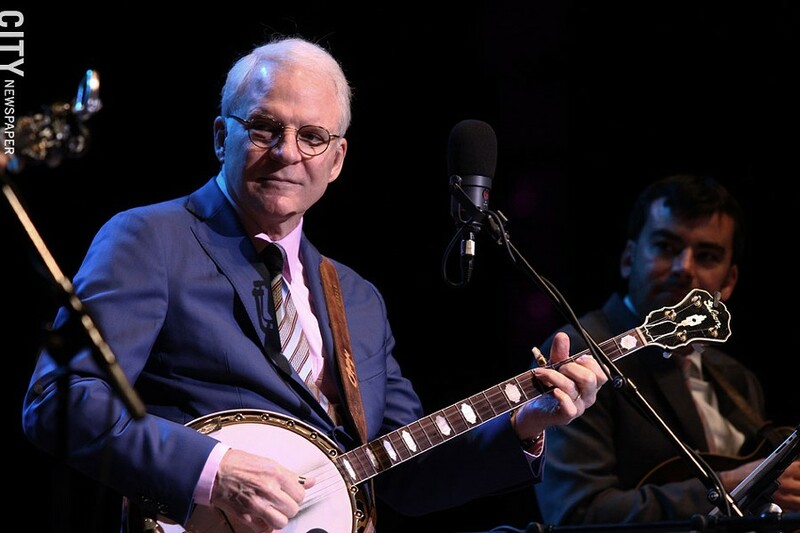 This year, headliners include Steve Martin with the Steep Canyon Rangers, Earth, Wind & Fire, Fourplay, Buddy Guy, Michael McDonald, and Janelle Monáe. The festival runs June 20-28 with more than 300 concerts including 80+ free shows. 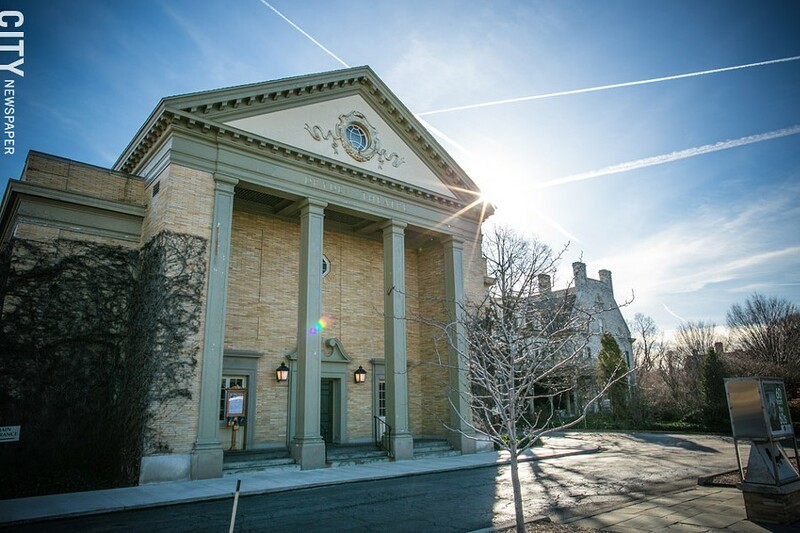 Shows are performed at 19 venues including Kodak Hall at Eastman Theatre, Montage, Little Theatre, Xerox Auditorium, Jazz Street (Gibbs St.) stage, East Ave. and Alexander St. stage, and more. Headlining artists will perform at Kodak Hall for various prices. All other performances will be $20-$25 on a first come first serve basis. For more information, including exact ticket prices and venue information, visit Rochesterjazz.com. Since its creation in 2007, The Maafa Celebration Committee has used the Annual Day of Remembrance to commemorate the lives lost in the Middle Passage of the Atlantic slave trade. The event honors the history, information, and knowledge of those lost African souls. Each year, the Maafa Celebration Committee also honors 10 local residents, called "Warriors," who have demonstrated service and work to make the community better and more humane. The Day of Remembrance will feature educational activities and programs that promote respect for understanding the history, accomplishments, and culture of African descendants. The Day of Remembrance was first celebrated in Rochester in 1999. The Maafa Celebration Committee has organized the celebration since 2007. Day of Remembrance takes place on Thursday, July 3, 6 to 8 p.m., at the Durand Eastman Park in the city (located on Lake Shore Blvd. and Kings Highway N). Admission is free and open to the public and attendees are asked to wear white, bring a lawn chair and/or blanket to sit, and flowers for the libation ceremony. For more information, visit maafacc.webs.com or email themaafajuly3rd@gmail.com. 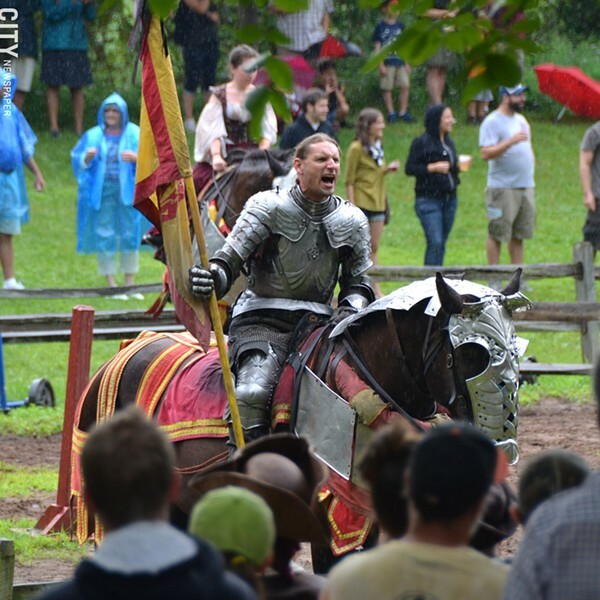 The Renaissance Festival returns to Sterling for its 35th year, bringing a merry ole time to the 21st Century. With a variety of foods, entertainment, shopping venues, rides, and games attendees can partake in the "renaissance" experience. Entertainment includes a jousting match, a "wench auction," Shakespearean plays, and a visit by the queen through the town every afternoon. Games and rides include axe throwing, archery, mud mayhem, goose neck slip, and more. And don't miss out on throwing tomatoes at the stocks. The Festival runs for seven weekends, Saturdays and Sundays, beginning July 5 through August 17. Open 10 a.m. to 7 p.m. with a different theme each weekend. Fairgrounds are located at 15385 Farden Road in Sterling. Daily admission prices are $12.95-$22.95 and season passes are $85.95-$185.95. For more information, visit Sterlingfestival.com, call 800-879-4446, or send a pigeon to the Sterling address. Get carried away with an overabundance of BBQ sauces. For four days, enjoy the day-long festival bringing you the most unique lip-smackin' BBQ sauces around. Each rib master brings their own style and touch to a favorite sauce. BBQ sauces are served on ribs, chicken, beef brisket, pulled pork, and more. While chowing down, enjoy some feel-good live blues music as well. The festival will host more than 20 performers, including Robert Randolph and the Family Band, The James Hunter Six, Shemekia Copeland, Naomi Shelton and the Gospel Queens, and Playing for Change. The festival will run Thursday, July 10, though Sunday, July 13, at the Highland Park Festival Site (corner of Highland and South Ave). Hours are 11:30 a.m. to 10 p.m. on Thursday through Saturday, and 11:30 a.m. to 9 p.m. on Sunday. Admission is free until 3 p.m., and then $10 per person after. For more information, visit Rochesterevents.com/festivals-events/big-rib-bbq-blues-fest. Wine in the Finger Lakes. Presented by Yancey's Fancy New York's Artisan Cheese, the Finger Lakes Wine Festival returns this year for a weekend of summer revelry. The festival includes over 90 wineries, and many food vendors from popular Rochester restaurant spots. Friday night, attendees are encouraged to come dressed in a toga to try free samples of wine and artisan cheese, and enjoy live music and fireworks at Launch of the Lakes. On Saturday and Sunday, festival-goers can get free hands-on cooking classes taught by top regional chefs and The New York Wine & Culinary Center. Other special events include breakfast inside the Glen Club, and a meal prepared with specialty NY wines on Saturday night, and a ride in a Watkins Glen International pace car on the race track. Campground space is available on the grounds. 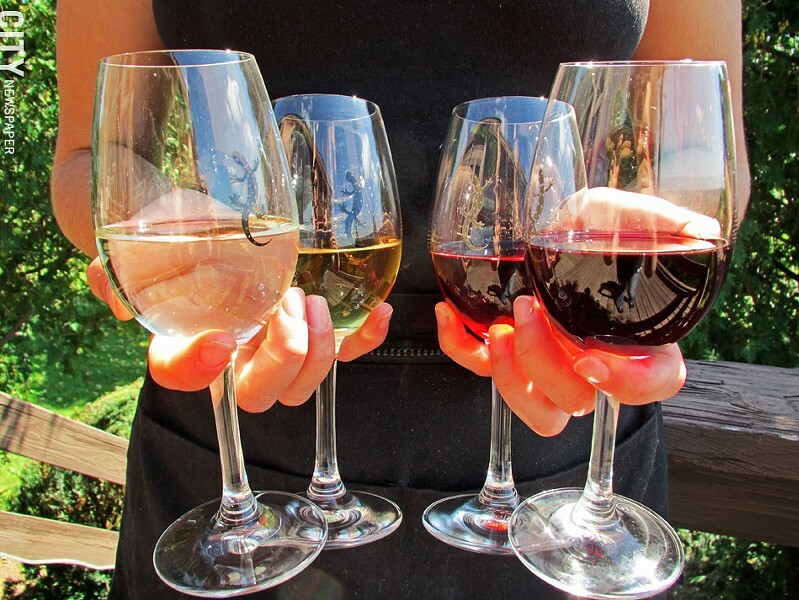 The Wine Festival will be held Friday, July 11, through Sunday, July 13 at the Watkins Glen International Speedway (2790 County Rte. 16 in Watkins). Passes include a one day pass ($35-$40), a two day pass ($45-$50), a one day designated driver pass ($15, must be 21 years or older), and a minors pass ($25). For more information and to register for special events, visit Flwinefest.com. It all started 45 years ago when a group of Rochester-based artists wanted to display their work on one street. 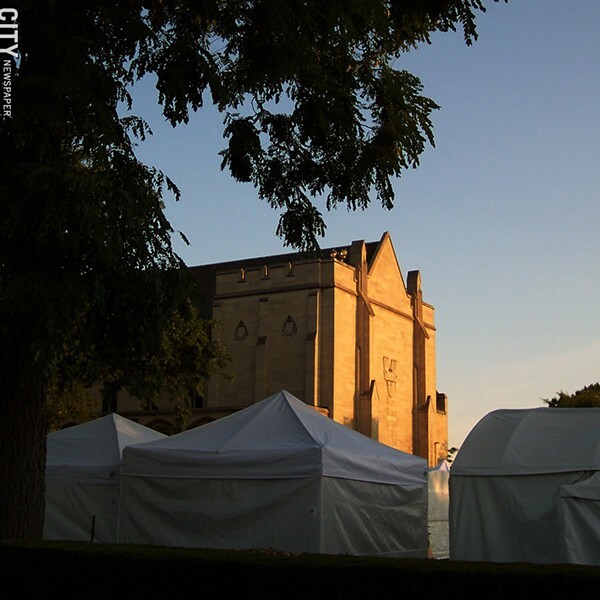 Since then, the Corn Hill Arts Festival has become a long-time Rochester tradition, as well as earning recognition as one of the top 200 festivals by Sunday Artist Magazine. The festival hosts over 400 contributing artists from throughout the United States and Canada. Festival activities include a beer and wine garden, live entertainment on four different stages, an emerging artists expo showcasing 25 young artists, over 40 international food vendors, children's events, sponsor venues for national and local companies, and non-profit exhibits highlighting local charity organizations. The festival takes place on Saturday, July 12, 10 a.m. to 6 p.m., and Sunday, July 13, 10 a.m. to 5 p.m. rain or shine. Admission is free and open to the public. For more information, visit Cornhillartsfestival.com. Canandaigua is known for its historic streets and alluring lake. Located on Canandaigua's Main Street, the Canandaigua Art and Music Festival highlights local music and art talent from across the region. One of the biggest things to look for is the plethora of artists, crafters and exhibitors featuring photography, jewelry, pottery, and woodworking. There will also be a Kids Korridor for the little ones, which includes live family-friendly music and hands-on kid activities. The festival will be held on Friday, July 18 from 12 p.m. to 7 p.m. and Saturday, July 19, and Sunday, July 20 from 10 a.m. to 5 p.m. Admission is free. For more information, visit Canandaiguaartfestival.com or call 394-0787. The Canandaigua Lake Music Festival features 13 classical artists playing the piano, violin, cello, viola, and lute. The festival's 10th anniversary season begins July 9 with a free pop-up concert — the first of three — followed by a 10th anniversary celebration on July 10. Along with the three free pop-up concerts, a free children's concert will be held July 17. The Festival begins Wednesday, July 9, and continues through Sunday, July 20. For more information on times, line-ups, and performance prices, visit Lakemusicfestival.org or call 690-1220. For the 17th year, the St. Dimitria Macedonian Orthodox Church will host the Macedonian Ethnic Festival. The Macedonians are known to have one of the oldest cultural heritages in the world, and the festival is a chance to learn more about those traditions. With customary costumes, performances, live music, artifacts, and publications, the festival represents the past and present of the Macedonian culture. Games, including a Money Wheel and Black Jack, will be available for those of all ages. Grilled cuisines, such as sausage and various kebops, and baked goods, like baklava, zelnik, and tulumbi, will be for sale. The Festival will take place Friday, July 18, 5 p.m. to 12 a.m. Saturday, July 19, 12 p.m. to 1 a.m. And Sunday, July 20, 12 p.m. to 11 p.m. The church is located at 235 Telephone Road in West Henrietta. Admission is free. For more information, visit Macedonianfest.com. Each year, the Gay Alliance of the Genesee Valley sets aside a weekend in July to promote a healthy and inclusive environment for people of all sexual orientations and gender identities and expressions. 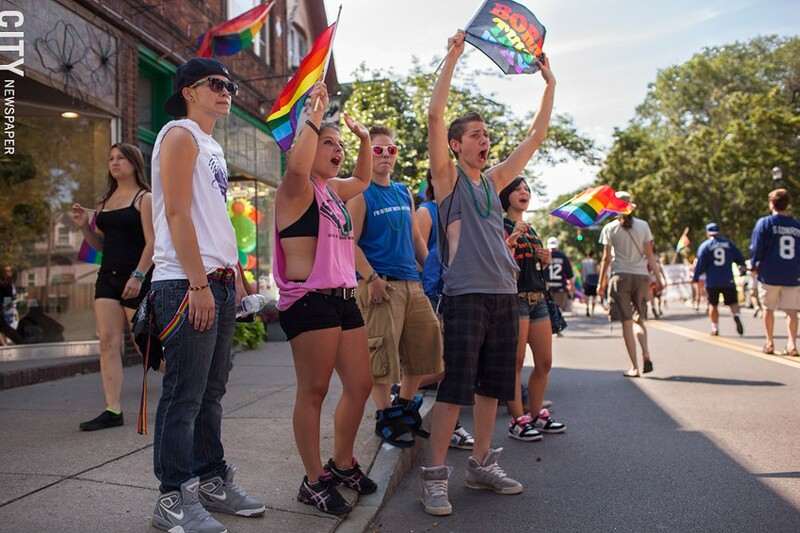 Rochester Pride 2014's theme is "Carnival: True Colors" and takes place Friday, July 18, through Sunday, July 20, with an assortment of activities for everyone. On Friday, enjoy a Flag ceremony and Rainbow Ride. On Saturday, come out for the annual parade, Family Fun Time, and the festival. On Sunday, enjoy a picnic fundraiser at the Genesee Valley Park (1000 E. River Road). Rochester Pride will also include a festival stage with various live acts, Roc Pride Games, an LGBTQ History Exhibit, and more. Pride weekend takes place Friday, July 18, through Sunday, July 20, throughout the city of Rochester. Tickets for the Festival are free from 12 p.m. to 3:30 p.m., $15 from 3:30 p.m. to 9 p.m. (and free for children 12 and under). Picnic fundraiser tickets range from $15-$25. Registration can be done online or you can purchase tickets at the gate. For more information and a complete list of events and locations, visit Gayalliance.org. After a successful Bar Mitzvah last July, the Rochester Jewish Film Festival returns for its 14th year. The film festival's mission is to promote awareness and pride in the diversity of Rochester's Jewish community and to support local and international Jewish filmmakers and their films. The 26 films span genres including documentary, comedy, drama, and narrative. The Festival begins on Sunday, July 13, and runs through Monday, July 21, with shows at the Little Theatre (240 East Avenue #100), the Dryden Theatre (900 East Avenue), and the Jewish Community Center (1200 Edgewood Avenue). General admission tickets are $9 for JCC members ($11 for non-members); weekday matinee tickets are $7 for JCC members ($9 for non-members); opening night and closing night tickets are $15 for JCC members ($20 for non-members); festival passes are $150 for JCC members ($165 for non-members); JCC matinee passes are $36 for JCC members ($48 for non-members); and all students receive a discount of $1 on advance sale tickets. For more information, visit Rjff.org or call 461-2000. Since it began 25 years ago, 10 Ugly Men, Inc., has maintained one goal: host fun parties and donate the proceeds to charity. Charities have included St. Mary's Oncology Center, Bright Eyes Fund at Golisano Children's Hospital, Boys and Girls Clubs of America, Sojourner House, Cameron Ministries and Equicenter. This year's day-long festival includes a kickball tournament, Color Me Ugly 5K Fun Run (including a Kids Race), a Volleyball Tournament, live music, and a seemingly endless amount of food. The 10 Ugly Men Festival takes place on Saturday, July 26, 10 a.m. to 8 p.m. at the Genesee Valley Park (952 E. River Rd). Tickets are $25 advance, $35 day of, $10 for ages 13 to 20, and free for children 12 and under. Tickets can be purchased at Wegmans. For more information and to register for the sporting events, visit Tenuglymen.com. 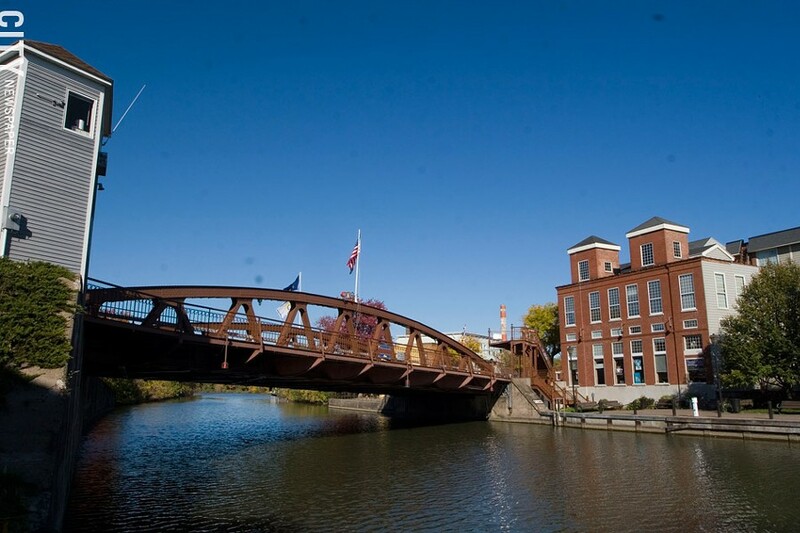 On Saturday, July 26, and Sunday, July 27, stop by Spencerport for arts and crafts, commercial booths selling an array of goods, food vendors, and live music along the banks of the Erie Canal. The festival will host its annual car show on Saturday and Sunday and the Canaligator Race, where sponsors buy little plastic alligators and watch as they "race" to the finish line. New this year will be wine tasting on Saturday and Sunday from 11 a.m. – 4 p.m. The tasting will feature up to seven local wineries. The Festival will take place along the Erie Canal in the village of Spencerport from 11 a.m. – 4:30 p.m. on Saturday, July 26, and Sunday, July 27. Admission is free. For more information, visit Spencerportcanaldays.com. Waterfront Festival is a juried arts and crafts festival known for offering high quality, inimitable products, and hosts over 170 artists selling hand-made arts and crafts, cottage industry products, jewelry, pottery, and more. Located at Kershaw Park on Lake Shore Drive, the festival will also feature loads of food vendors and live music to keep you entertained while browsing. The festival takes place Saturday, July 26, and Sunday, July 27, from 10 a.m. to 5 p.m. both days. Admission is $3 and free for children 12 and under. For more information and a complete schedule, visit Waterfrontartfestival.com or call 671-9102. 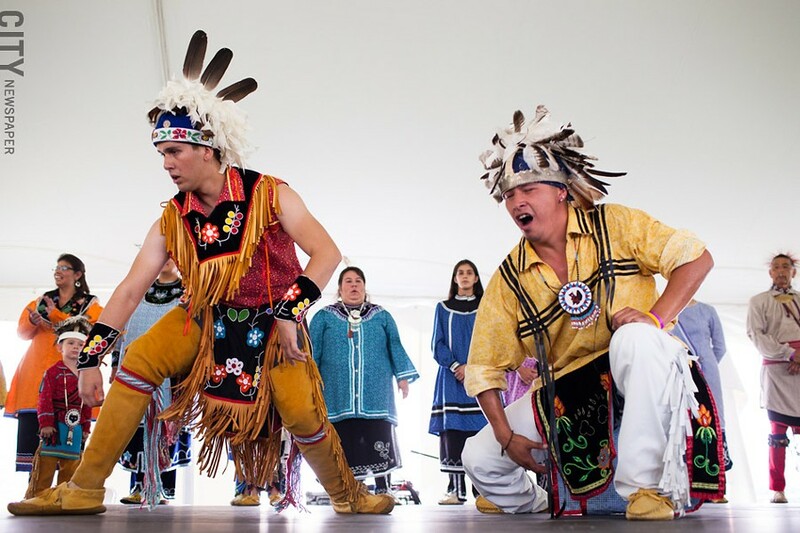 For 23 years, the Ganondagan Historic Site — a center for the Seneca people 300 years ago — has held the Native American Dance and Music Festival to celebrate the history and culture of the Seneca people. The festival includes artisan demonstrations, traditional storytelling, demonstration tents, guided trail walks, longhouse tours, live Native American music, and Iroquois dance performances. The Festival runs Saturday, July 26, and Sunday, July 27, from 10 a.m. to 6 p.m. at the Ganondagan Historic Site (1488 State Route 444 in Victor). Admission is $12 for adults, $10 for seniors, $7 for students with ID, $5 for children 3 to 18 years old, and free for children 2 and under and Friends of Ganondagan members (with a membership card). For more information, visit Ganondagan.org. The Native American Music and Dance Festival at the Ganondagan Historic Site. The heart of the Monroe County Agricultural Fair will feature open shows for all kinds of animals, flowers, vegetables, foods, arts and crafts, and pulling competitions for lawnmowers, tractors, and horses. Other activities include a local Farmer's Market, food vendors and concessions, kid-friendly rides, and entertainment at Midway, live music throughout the day Saturday and Sunday, and a meet and greet with the Monroe County Dairy Princess. 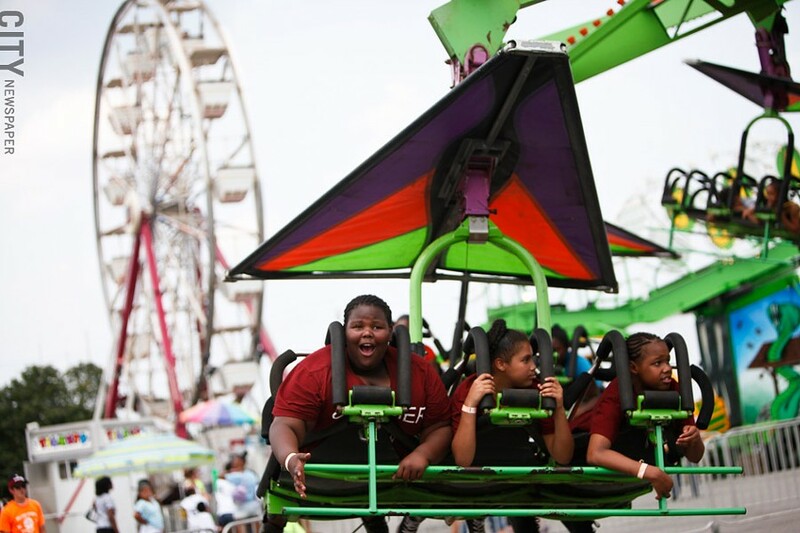 The Fair takes place on Thursday, July 31, from 1 p.m. to 10 p.m., Friday and Saturday, August 1 and 2, from 11 a.m. to 10 p.m., and Sunday, August 3, from 11 a.m. to 7 p.m. Tickets can be purchased at the gate and cost $7 adults, $6 for seniors, and free for those 12 and under. For more information and a schedule of events, visit Mcfair.com or call 262-3247. The Puerto Rican Festival began in 1969 and has since been used to celebrate and recognize the culture of Puerto Ricans in the Rochester region. The Festival is the longest running cultural festival in Monroe County and includes three-days of events with dance groups, youth boxing and performances, children activities, a 5K race and walk, live salsa, an assortment of foods and the introduction of the Miss Puerto Rico of Rochester cultural pageant Queen and Princess. Each night will also feature a special guest singer as well as various local artists. Toby Love and Zion y Lennox will perform August 1; Domingo Quinonez & Grupo Mania perform August 2; and Tito Nieves performs August 3. The Puerto Rican Festival takes place Friday, August 1, and Saturday, August 2, 12 p.m. to 11 p.m. and Sunday, August 3, 12 p.m. to 7:30 p.m. at Frontier Field (333 Plymouth Ave. N). Tickets are $10 for each day, $25 for a 3-day pass, $5 for children and seniors, and free for children five and under. For more information, visit prfestival.com. St. Stanislaus Kostka Church, located at 1150 Hudson Avenue, strives to promote the Polish heritage of the community through services in both English and Polish. Its annual Polish Arts Festival will include an assortment of activities and games for all ages. Don't miss out on the many traditional Polish dinners including Golabki, Pierogi, Polish sausage, and Sauerkraut (all available for take out as well). Other food choices include potato pancakes, hot dogs, hamburgers, Italian sausage, salt potatoes, soft drinks, and beer. Potato-cheese pierogi's can be sold frozen to take home with you as well. Melody Lane will perform on Friday and Ray Serafin and the Brass Magic will play polka music 7 to 11 p.m. on both nights. The festival runs Friday, August 1 from 5 to 8 p.m. and Saturday, August 2, from 4 to 8 p.m. Admission is free. For more information, visit Polishartsfest.org. The Lima Crossroads Festival makes an effort to support Lima's local businesses and service groups by bringing in people from all over the region. Some of the all-day activities include arts vendors, a petting zoo, a car cruise in, a bounce house and kid's carnival, and a poker run. The festival also hosts a Bed Race, beginning sharply at 12 p.m.; a lima bean recipe contest with a first, second, and third place prize; the opportunity to send a friend to "jail;" and live music (tickets at the Tent are $20 each). The Festival takes place Saturday, August 2, beginning at 9 a.m. on Main Street in Lima. For more information and a complete schedule of the day's events, visit Limafest.org. One of Rochester's biggest festival events returns for its 37th year. Set in one of Rochester's most unique and historic neighborhoods, the festival celebrates the beauty of the Park Avenue community and its local talent. The festival claims over 300 artists, vendors, and exhibitors from 21 states and Canada selling handmade items such as pottery, jewelry, photography, paintings, sculptures, and more. Enjoy a wide variety of non-alcoholic and food vendors selling festival favorites like fried dough, giant turkey drumsticks, strawberry shortcake, and more. And don't miss live music entertainment from over 60 different groups playing everything from gospel and jazz to Caribbean and acoustic. The stage located at the Village Market will offer musical entertainment suitable for all ages. The festival is set for Saturday, August 2, from 10 a.m. to 6 p.m., and Sunday, August 3, from 10 a.m. to 5 p.m., down Park Avenue, between Alexander Street and Culver Road. Admission is free. For more information, visit Park-avenue.org. Achieving and Bringing Our Vision to Excellence, or A.B.O.V.E., is a local organization that is dedicated to making a difference among African Americans in the greater Rochester community. The organization works to build unity, pride, and self-esteem among local African Americans through the promotion of cultural education and awareness and to foster a sense of cultural unity among those of African descent. For the 7th year, A.B.O.V.E. will present its African American Festival with this year's theme as "Unity in the Community." The Festival includes an assortment of vendors selling food, ice cream, arts and crafts, literature, and wearable items. It will also include live music, traditional dancing, African art, and activities for children. The Festival will be held on Saturday, August 2, from 11 a.m. to 7 p.m. at the Highland Bowl, located on South Avenue. The event is free and open to the public. For more information, visit Aboveny.org or email info@abvoeny.org. The Rochester Teen Film Festival — sponsored by Nazareth College, the WXXI Public Broadcasting Council, and the Little Theatre — is a juried media competition held to give urban, suburban, and rural teens from the area the chance to show off their talents. Every other summer, Nazareth College offers kids ages 13-18 the chance to partake in a teen film camp, featuring mini-workshops and the chance to work hands-on with teachers to learn about the art of filmmaking and digital video production. The festival is open to regional high school student teens with films of all genres. The night will feature screenings of the winning films at the Little Theatre. The Festival will present the winners of the 2014 Film Festival at The Little Theatre (240 East Avenue) on Wednesday, August 6, at 5:30 p.m. For more information, visit Go.naz.edu/rtff or call The Little at 258-0400. 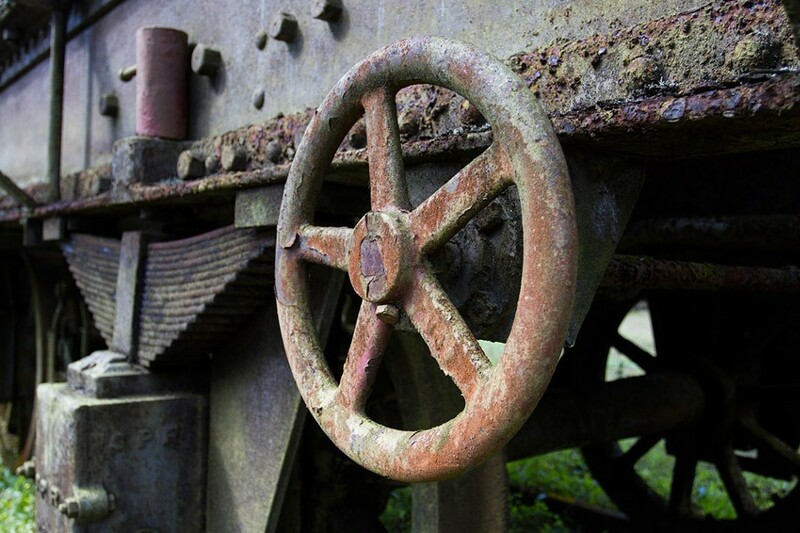 The Pageant of Steam includes antique equipment. The New York Steam Engine Association was formed to promote and encourage interest in the operation, ownership, and preservation of antique steam-powered vehicles. For four days, the 54th Pageant of Steam will include antique tractors and tractor pulls (pre-1954), kiddie pedal tractor pull, parade of movable equipment, plowing and saw mill demonstrations, and live music Thursday through Saturday. A craft and flea market will take place during the festival as well as five concession stands serving hot dogs and hamburgers, cold sandwiches, beverages, and dinner daily. The festival will also feature the Historical Construction Equipment Association's 29th Annual International Convention and Old Equipment Exposition featuring Michigan built engines. The Pageant of Steam takes place Wednesday, August 6, through Saturday, August 9 from 8 a.m. to 8 p.m. at the N. Y. S. E. A. (3349 Gehan Rd., Canandaigua). Admission is $6 for adults and free for children under 12. For more information, visit Pageantofsteam.org. For the first time, Nedloh Brewing Company will host its Hopsfest, a new festival that brings brewers and enthusiasts together to sample, celebrate, and learn about hops and craft beer. Hopsfest takes place on Saturday and Sunday, August 9 and 10. Saturday's events include a variety of seminars covering education about craft brewing and the industry in New York and six hours of tasting tents, brewing demonstrations, live music, and the Rochester Food Truck Rodeo. Sunday's activities include a continuation of seminars, tasting tents, demonstrations, live music, and the Food Truck Rodeo, as well as the Big Green Egg Grill's Chef Cook-Off, featuring 12 of the region's best chiefs. Hopsfest takes place at Nedloh Brewing Co. (6621 State Route 5 and 20 in Bloomfield) from 9 a.m. to 6 p.m. on Saturday and 10 a.m. to 5 p.m. on Sunday. Ticket prices are $30 for each day and $50 for both. For more information, visit Hopsfestny.com. 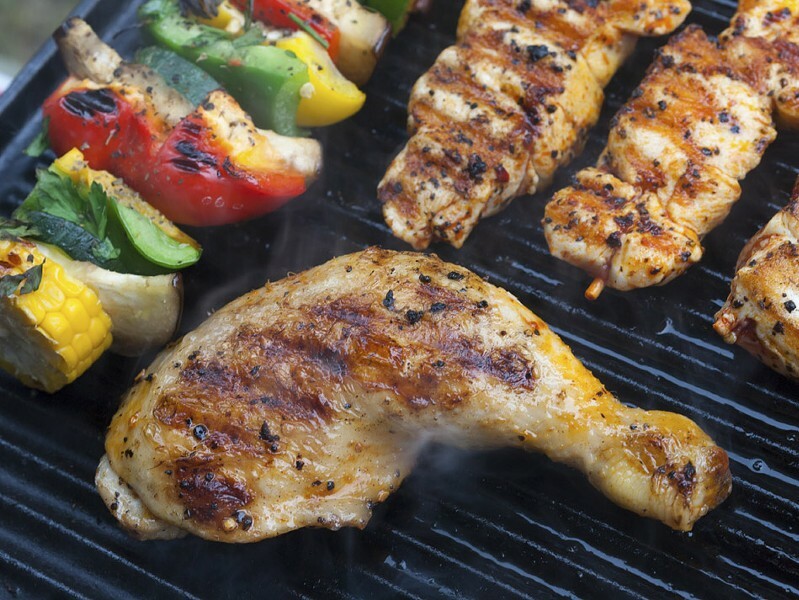 Jerk chicken and grilled vegetables. For the 30th year in a row, the Rochester West Indian Festival Organization, Inc., will host Carifest, a Caribbean Festival celebrating Rochester's Caribbean heritage by bringing some of the best Caribbean food, music, and arts and crafts. The festival will take place on Saturday, August 9, and will begin with a parade highlighting the traditional carnival spirit of the Caribbean with traditional costumes and music. The parade will take place at 11 a.m. and will start on Liberty Pole Way and make its way down Main Street. The Festival runs from 1 p.m. to 10 p.m. at the Riverside Festival Site (Court and Exchange Boulevard) and will feature Caribbean music, arts and crafts celebrating the culture, all sorts of foods, fun for children and family members of all ages, and more. Carifest is free to attend. For more information, visit Rwifo.com or call 234-0909. Avon's small town Rotary Corn Festival takes place on Saturday, August 9 from 10 a.m. to 11 p.m. Throughout the day, the festival will host food stands, arts and crafts vendors selling everything from woodcrafts to stoneware pottery, a 50/50 drawing booth, games for all ages, a Kid's Zone from 10 a.m. to 2 p.m., live entertainment at three stages, and a corn eating contest. From 7 to 11 p.m., a free concert will be put on by The Skycoasters, a nine piece local party band. The local famous Corn Fest T-Shirts will be available prior to the festival at HSBC and Bank of Castile in Avon. The shirts can also be bought at the Souvenir Booth during the festival. The Festival takes place on Genesee Street in the village of Avon. Admission and parking are free. For more information and a complete schedule of events and vendors, visit Avonrotary.org. The two-day Brockport Summer Arts Fest offers more than 100 exhibitors, live family-friendly music, a vintage car cruise-in across the bridge (on Saturday), a wine tasting under the big tent, a farmers market on Market Street, a kids fitness walk, street dancers, and other activities for everyone. Don't forget to stay for the Duck Derby at the conclusion of the festival on Sunday. Beginning at 3:30 p.m. at the canal lift bridge, the Derby will feature thousands of sponsored plastic ducks as they "race" to the other side of the canal. Prizes will be given to the first and last five ducks to finish. Ducks are $5 for one, $20 for five, and $100 for a pack of 35. The festival runs Saturday, August 9, 10 a.m. to 6 p.m., and Sunday, August 10, 10 a.m. to 4:30 p.m., along Main Street in the village of Brockport. Admission is free. For more information, visit Brockportartsfestival.com. Now in its 6th year, the Finger Lakes Riesling Festival, takes place Saturday, August 9, and Sunday, August 10. A Wine Garden will take place both days, featuring Riesling tastings and sales (by the bottle) along with craft beer tastings. The Wine Garden will be open from 10 a.m. to 5 p.m. on Saturday and 12 p.m. to 5 p.m. on Sunday. New York Wine and Culinary Center will also host cooking classes and education wine seminars, open from 11:30 a.m. to 9 p.m. on Sunday. Also featured will be live entertainment, an upscale arts & crafts show and sale, a farmer markets, and various food vendors. The Festival takes place from 10 a.m. to 5 p.m. both days at the New York Wine and Culinary Center (800 S. Main Street in Canandaigua) and the Canandaigua City Pier (on Lakeshore Drive). Entrance to the Wine Garden is $2 and admission to the festival is free. For more information, visit Rieslingfestival.com. 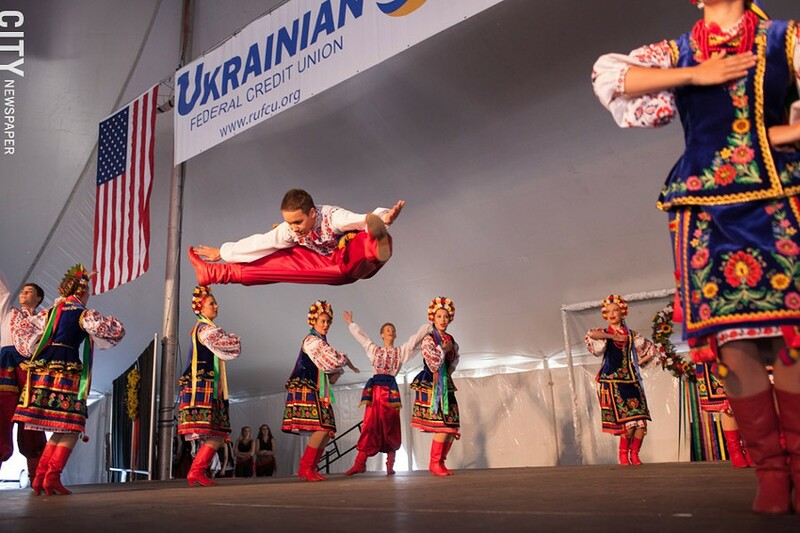 First introduced as a way to preserve and promote the Ukrainian heritage in the greater Rochester community and to offer a family-friendly event that could be enjoyed by all, the Ukrainian Festival has been a part of the city's summer festival scene for over 40 years. For four days, enjoy a variety of Ukrainian customs including dancers, arts & crafts, and food like Varenyky, Kovbasa, and Borshch. The festival will include traditional folk dance and music performances. Don't miss out on 24 vendors selling traditional Ukrainian and modern ceramics, jewelry, pottery, Pysanky (Ukrainian Easter Eggs), traditional Ukrainian weavings and beadworks, art ceramics, and more. The festival runs from Thursday, August 14, through Sunday, August 17, at St. Josaphat's Ukrainian Catholic Church, 940 E. Ridge Road. The festival is free to attend. For more information, visit Rochesterukrainianfestival.com. The Fairport Music and Food Festival is not only a good summer afternoon, but a way to help out a local cause. All proceeds to the Festival benefit the Golisano Children's Hospital at Strong as they work to reach a goal of $1,000,000 (the festival is up to $633,672 after last year's event). The Fairport Music and Food Festival includes 20 bands performing on 3 stages and more than 20 local food venues serving up favorite treats. Also featured are activities specifically for the little ones including a rock wall, an airbrush tattoo artist, and an obstacle course. The festival takes place on Saturday, August 23, from 12 p.m. to dark and is located on Lift Bridge Lane in the Village of Fairport. Ticket prices are $10 in advance, $15 at the gate on the day of, and free for children 12 and under. Tickets may be purchased at various Fairport merchant locations. For more information and a complete list of where to purchase tickets, visit Fairportmusicfestival.com. For those looking for a low-key night of theater and Jazz, the annual Sankofa Theater Festival — sponsored by MMB Theater 1 Project — is dedicated to commemorating African American heritage and history in the arts as well as promoting local talents including African American playwrights, stage performers, producers, musicians, and more. The festival will include three nights of one-act plays by various local playwrights. The Festival takes place Thursday, August 28, through Saturday, August 30 at the MuCCC Theatre, located at 142 Atlantic Avenue. Advance tickets can be bought at Mood Makers Books (274 N. Goodman Street) for $12.50 or you can purchase tickets at the door for $16. A three-night pass will be available for $35 as well. Limited seating is available so order your tickets now! For more information, visit Moodmakersbooks.com or call Curtis Rivers at 271-7010. 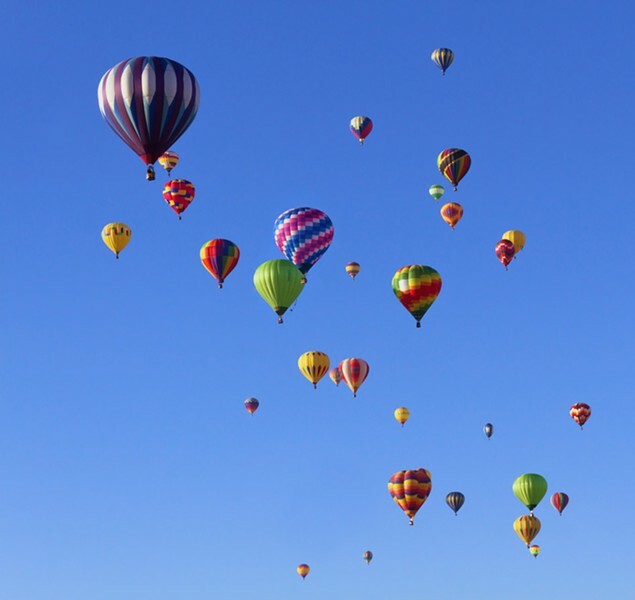 The New York State Festival of Balloons takes place this August in Danville, NY. The New York State Festival of Balloons returns for its 33rd year. Despite its name, the festival is about more than just hot air balloons. The NYSFOB also includes various arts and crafts vendors, an international food court, free entertainment, rides and activities for children, and a car show. Campground space is available for a 2 night minimum stay on the festival grounds. The camping fee is $30 per night and includes Festival admission for two. The Festival runs Friday, August 29, through Monday, September 1. Scheduled balloon launches run Friday at 6 p.m., Saturday and Sunday at 6 a.m. and 6 p.m., and Monday at 6 a.m. The Festival takes place at Dansville Municipal Airport, 176 Franklin Street, at the Maple Street Entrance. Admission is $5 and free for children under 12 and part of the profits are donated to a local charity each year. For more information, visit Nysfob.com. The Clothesline Arts Festival is one of the largest art festivals in the area, attracting more than 20,000 visitors each year. 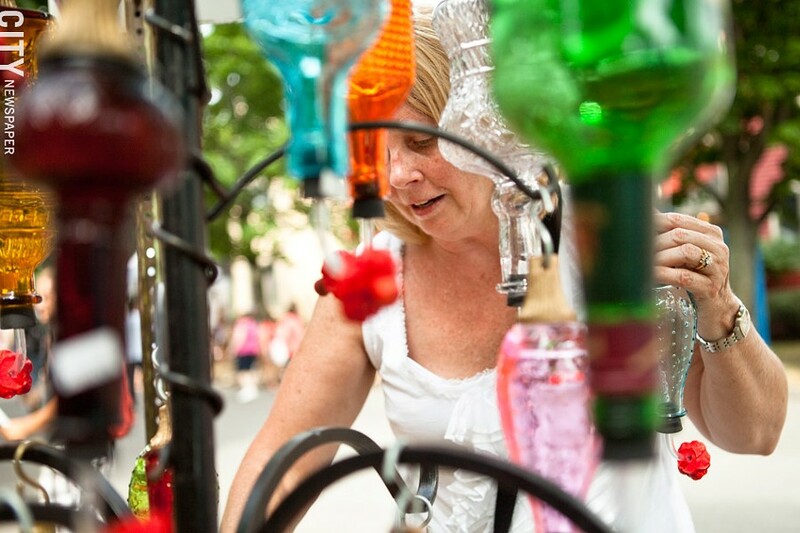 The festival includes live entertainment at two outdoor stages, original work by more than 400 local artists, food from various favorite Rochester vendors, family-friendly activities, and bargains at the Gallery Store's Sidewalk sale and art library's used book sale. Clothesline will take place at the Memorial Art Gallery, 500 University Avenue, Saturday, September 6, from 10 a.m. to 6 p.m. and Sunday, September 7, from 10 a.m. to 5 p.m. rain or shine. On Saturday, MAG members are offered the chance to attend the festival half an hour before opening. Admission is $4 for MAG members, $5 for general admission, and free for children 10 and under. For more information, visit Mag.rochester.edu/clothesline. Bring out your inner lumberjack at this year's Macedon Lumberjack Festival with events like the two-man crosscut, log rolling, log chop, and fire starting. The 2014 Northeast Colligate Woodsmen Conclave champions from FLCC will be there participating as well as pros from all over the country and Canada. Competition includes ax throwing, hot saw, spring board, and more. Looking for something outside of the woodsmen scene? Enjoy a craft and collectables sale, a variety of food vendors, and church services held Saturday night and Sunday morning. The Festival takes place Saturday and Sunday, September 6 and 7, at 8 a.m. both days and is located at the Macedon Center Fireman's Field, 2481 Canandaigua Road in Macedon. Admission is $3 for adults, $2 for seniors, $1 for kids 6-14, and free under 5. For more information, visit Macedoncenterfire.org. Interested in becoming more environmentally friendly? The Greentopia Festival, presented by Friends of the GardenAerial, hopes to educate and raise awareness for environmental issues, promote sustainability in all its forms, and strive to make Rochester a happier and greener place to live. This festival, running Tuesday, September 9, through Sunday, September 14, includes a film festival, a fashion show, an art and photography show, and live music. Tuesday through Saturday, the festival features Greentopia Film, a collection of primarily non-fiction films to inspire, transform, and ultimately empower the audience to create sustainable changes in their lives and communities. The Film Fest will take place at The Little Theatre (240 East Ave. #100) and High Falls (81 Browns Race). A music festival takes place Friday and Saturday at the High Falls venue, celebrating the love of music and how it sustains our souls. A design fest features a Friday night fashion show, a photography show, and an arts show, all at the High Falls venue. Prices vary based on events. For a detailed schedule of events and ticket prices, visit Greentopiafest.com or call 287-5560.